If you are disabled and qualify for Social Security Disability, it may take a while for you to start receiving payments. This is especially true if your claim has been denied and you are filing an appeal. While it takes just under an hour to submit an appeal online, scheduling a hearing can take much longer. The average wait is just under 600 days, or 19 ½ months. That’s close to two years. This wait time is a record number of days. In 2012, the average wait time was under a year, at 353 days. By September of last year, the average wait time had risen to 545 days. 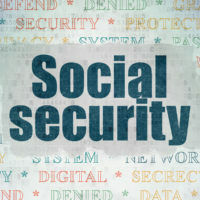 In 2010, the backlog of Social Security disability cases reached 700,000. There are currently 1.1 million cases awaiting a hearing. Only 46 percent of those who apply for hearing end up winning. If a claimant does win their case, they can get benefits retroactive to the date they filed the claim, providing that they can prove they were disabled before filing the claim. However, waiting nearly 20 months to get a hearing is taking its toll on many of those who are disabled. They are caught in a Catch-22. They cannot work because they are disabled, yet cannot receive benefits because they haven’t been able to prove they are disabled enough. Almost two years without an income has caused bankruptcy for many folks. Only 37 percent of those who apply for Social Security Disability benefits end up getting them. That’s because the process is so burdensome. The agency often gets opinions from multiple doctors before making a decision. Plus, age is a factor. It’s harder to get approved is you’re relatively young—under age 50. Budget cuts at the Social Security Administration have led to staffing shortages, which means there are fewer employees to process these claims. Meanwhile, the number of claims is skyrocketing as Baby Boomers are getting older and having health issues that are making them unable to work. The president isn’t doing anything to help. In fact, he is making things worse. President Donald Trump and his staff claim that many recipients aren’t truly disabled. This has caused the Social Security Administration to crack down on fraud, and this means that those who are truly disabled are not getting the benefits they deserve. The Social Security Disability process is not meant to be easy. It is strict and rigorous to help prevent fraud, but it can be frustrating for those who are truly disabled. The odds are stacked against you and you may have to wait many months or even years to get the benefits you desperately need. If you are having trouble with your Social Security Disability application or have been denied benefits, get help from the Law Office of Michael Lawrence Varon. He has more than two decades of experience handling these types of claims and can help obtain the evidence needed for an approval. Contact his office at 914-294-2145 to schedule a complimentary consultation.